In the past, I’ve expressed my discontent with Online Business Valuation Tools of all kinds numerous times, in writing and otherwise. Among other things, I’ve also claimed that “[…] there’s virtually no way that a computer can take on the role of a human and provide a valuation that’s anywhere close to accurate […]”. 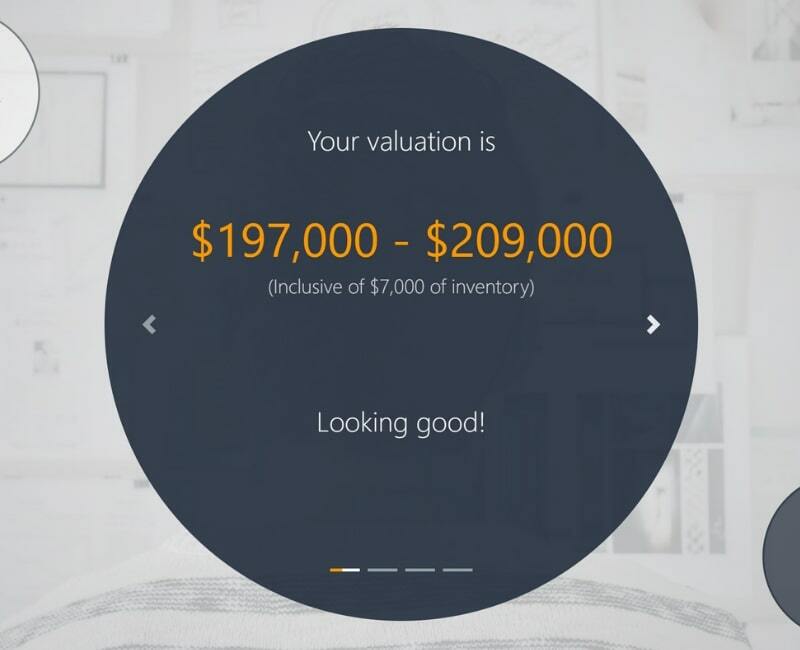 So, how come am I launching just that – an Amazon Business Valuation Tool? 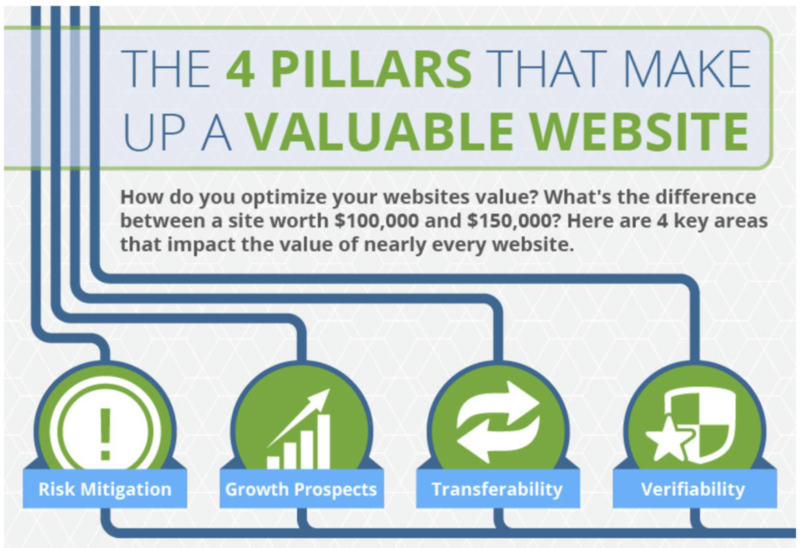 Before digging any deeper, it’s important to understand what actually goes into the valuation of a website or an online business. I won’t go into detail on what falls under each of those pillars as that’s beyond the scope of this write-up, but my friend and colleague Mark Daoust has done a great job explaining it. Go ahead and read his post and infographic here, or if you prefer, here’s a YouTube video by Joe Valley explaining the concept in just over 2 minutes. Each of the four pillars includes a whole bunch of data points. I’m talking about things like how sustainable the site’s traffic sources are (risk), whether you have bank statements available (verifiability), do you have any specific skills that the buyer won’t (risk again), are there any workers that won’t transfer with the business (transferability), and so forth. Some of those data-points can be easily handled by a computer, while others need human interference. Where it gets interesting is that the set of data points is very different depending on the business model you’re looking at. The valuation tool that I launched is aimed solely for Amazon FBA Businesses. That is – e-commerce businesses that sell products only through Amazon and utilize their Fulfilment By Amazon (FBA) programme to avoid dealing with inventory and delivery. And this makes a world of difference. Because out of the 4 valuation pillars, we now only have to deal with 2! You see, with Amazon FBA being such a “caged” business model, a lot of the metrics that normally go into a business valuation are already pre-determined by the business model alone. Here are some examples of questions I’d usually ask when valuing a business, but don’t need to when it’s an FBA business. In short, it means that when analysing FBA businesses, 2 out of the 4 pillars are out of the way. We effectively don’t have to worry about either transferability or verifiability, as all the metrics I’d normally look at are pre-determined by the business model. And when it comes to risk and growth – half of our job is already done by Amazon even there. Coincidentally, it’s also the same half that traditionally requires the most human involvement. This allows us to significantly cut down the number of metrics we need to look at to determine an accurate valuation. Don’t get me wrong – there are still a lot of metrics. Our valuation tools Artificial Intelligence looks at over 40 direct metrics and a number of indirect ones to determine the valuation. It also analyses over 500 past sales to get ‘comparables’. And to dot the “I”, the tool uses Artificial Intelligence and Machine Learning to improve itself over time. It even adjusts based on the market trends and changing market conditions that it observes. And even then, it would be naïve to expect it to yield a correct valuation all of the time. But that’s not the point, either. Human input will always be needed to get the full picture, but a “smart” tool like this helps Amazon sellers get a pretty good idea of what their business is worth, without having to spend time talking to a broker, listening to a sales pitch or paying a professional appraiser. When it comes to the accuracy of valuations, a big part is the accuracy of the source information. If your financials aren’t accurate to begin with then no tool (or person, for that matter) can give you an accurate valuation. This is also the main benefit that a human appraiser adds – they help guide you through putting together good source data. But for those who want to just have a general idea of a value range, as well as those who are certain in their numbers, a tool like this is a great shortcut and time saver.